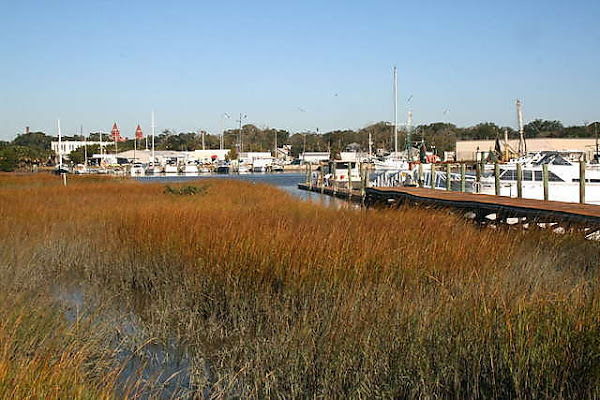 Since we didn't really have a Thanksgiving, we decided to go to St. Augustine Beach and get away for a couple of days. 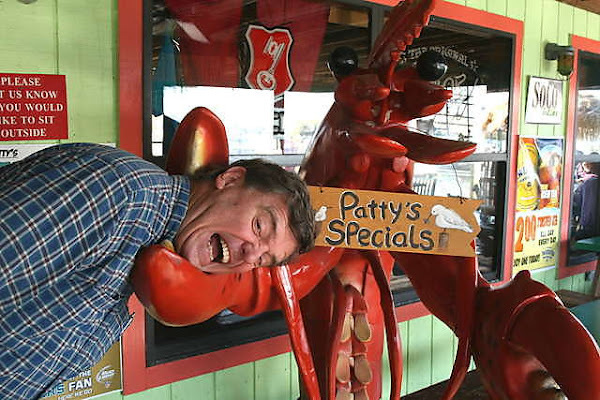 Within minutes of arriving to our destination we wandered into this seafood dive called Hurricane Patty's. 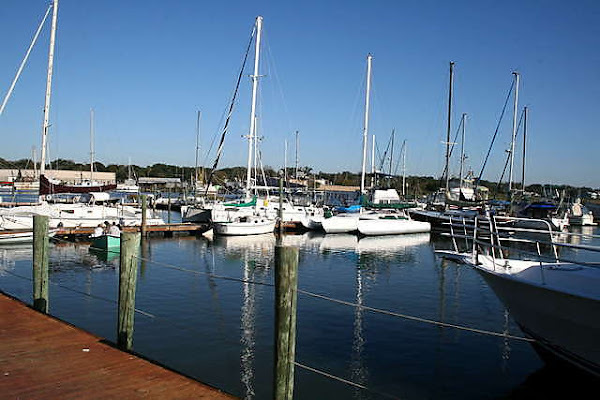 Located on a beautiful ship yard, Patty's offers a variety of fresh seafood salads, boils, and platters. 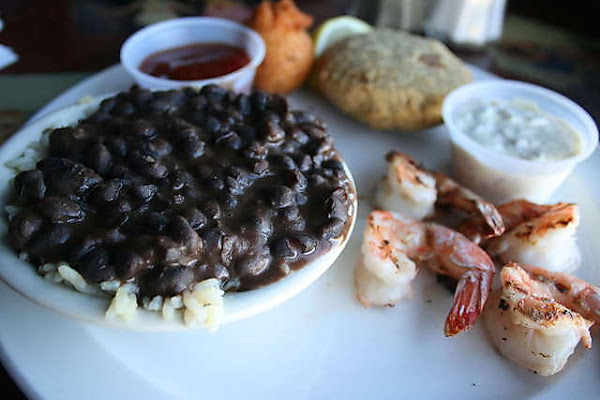 I decided on the combo with grilled shrimp, crab cakes and I subbed out the coleslaw and fries for a side salad and black beans n' rice (extra $1 for the salad). 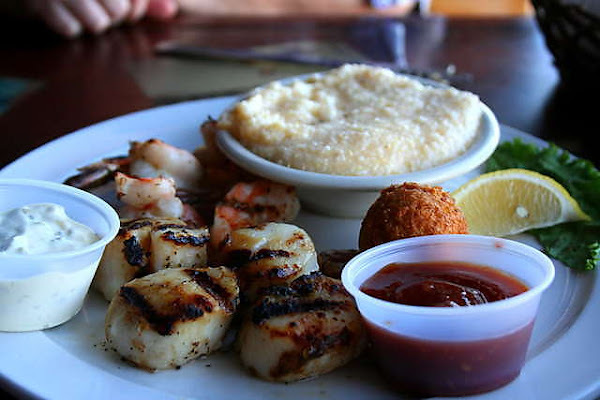 My mom ordered the grilled shrimp and scallops with cheese grits (she also subbed out for a side salad). These scallops were some of the best I've ever had! They had a nice, char-grilled sear on both sides with a buttery, melt-in-your mouth center. The shrimp, while seasoned well were a tad over cooked for my liking. The crab cake was sadly just a bread cake which happened to have tiny bits of crab in it. My beans and rice were pretty standard but tasty. My dad is a sucker for steam pots so when he saw one on the menu he flipped! They have both a slightly less expensive appetizer pot and then the entree size (which included the potatoes, corn and sausage). He opted for the $17 appetizer pot instead which consisted of boiled crab legs, crawfish, shrimp and clams. The shrimp I sampled was seasoned well and cooked better than mine, the crablegs were slightly over cooked and the crawfish were cooked well but under seasoned. All in all, with the edition of some salt, it was a pretty delectable feast but not the best I've ever had. Dad having fun with the shrimp.. 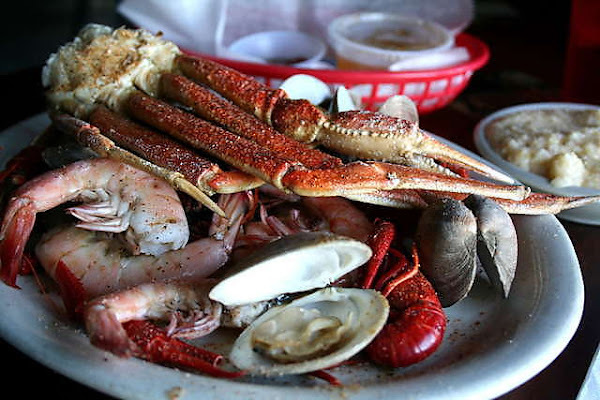 While Hurricane Patty's isn't exactly the classiest joint on the water but it's an eclectic dive that serves above average seafood.